Just in time for Valentine's Day, jewelry retailers are stepping up a campaign that aims to discourage the mining and sale of "dirty gold." 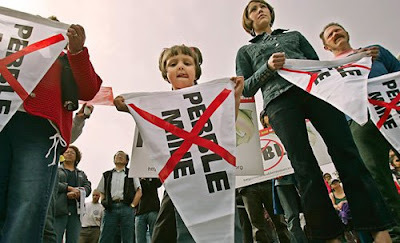 A group of jewelry retailers has signed the "Bristol Bay Protection Pledge," which seeks to halt the huge Pebble Mine planned for Alaska's salmon spawning headwaters. Click here to read the LA Times article by staff writer Margot Roosevelt (free registration required). Happy Valentine's Day everyone!